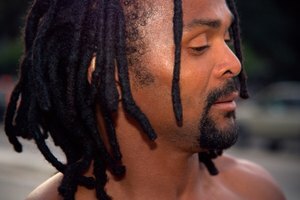 Many think that all dreadlocks are dirty, smelly and messy -- but nothing could be further from the truth. 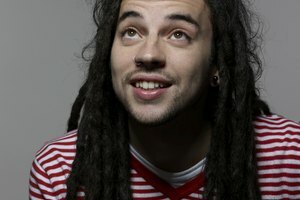 In fact the best-looking, healthiest dreadlocks are actually kept quite clean. Cleaning dreadlocks is only half of what it takes to maintain beautiful dreadlocks, however. Without using the proper methods to dry your dreadlocks after they have been washed, you may end up with moldy, smelly and downright disgusting dreads. The first thing you should do after washing your dreadlocks is wring them out with your hands. Grab each dread one at a time and, starting at your scalp, squeeze them as hard as you can until no more water runs out. Work your hands down the length of each dread in order to remove as much water as possible from the entire dreadlock. You may also want to shake them around a little to remove even more water and moisture. Next you will want to pat your dreads dry with a towel. Try to find a towel that does not lose a lot of lint, as this can become embedded in your dreads and may never come out. You can use a towel to wrap around each individual dread in order to draw even more water out of them. Once this is done, you can wrap the towel around your dreadlocks and your head for further drying. The towel should only be kept around your head for 10 minutes, however, as doing this for any longer may promote the growth of mold and mildew in your dreadlocks. Once you have removed the towel from your dreads you can use a hairdryer to remove all of the water and wetness that is left. Make sure to dry your entire head and all of your dreadlocks as your work the hairdryer around your head. Using a hairdryer on your dreads is a great way to leave them looking bouncy, fluffy and healthy, and it is a great method to use when you need your dreadlocks dried in a hurry. Many people who have dreadlocks prefer all-natural methods of washing and drying their hair. In this case it is perfectly fine to skip all of the above steps and just let your wet dreadlocks hang out and dry on their own. This has several draw backs, however, as dirt is more likely to stick to your dreadlocks when they are wet and mold may begin to form in thicker, longer dreadlocks.